Bold Stripe! 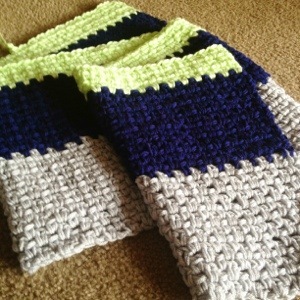 This is a free pattern linked in the BabyLove Brand Patterns in right hand sidebar. 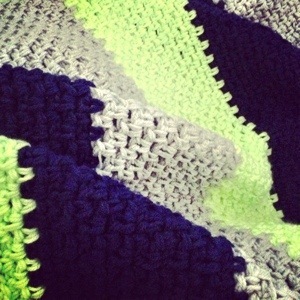 The grey, navy, and neon green are extremely effective together! 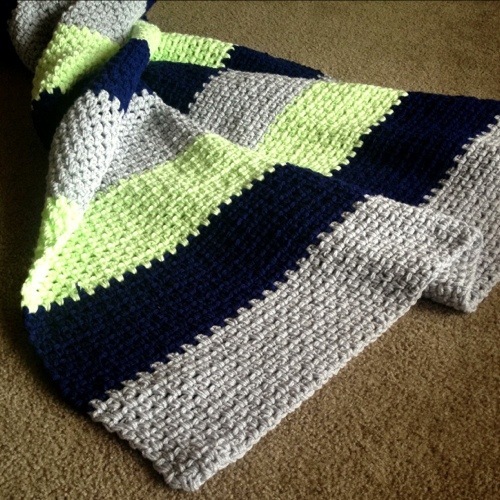 I love this blanket because it’s a crochet blanket that is great for a boy and the stitch is simple, but very effective. Posted in Bold StripeTagged Crochet, StripesBookmark the permalink. Hi! It’s in the sidebar pattern link. Thank you! I don’t understand how to get the pattern. It says it’s in the sidebar pattern link.